HP Inc. was formerly known as Hewlett-Packard. Hewlett-Packard was founded in 1939 by Bill Hewlett and David Packard, who both graduated with degrees in electrical engineering from Stanford University in 1935. 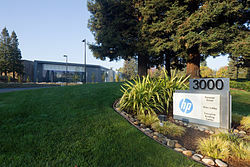 The company started off in the HP Garage in Palo Alto, California. On November 1, 2015, Hewlett-Packard was renamed to HP Inc. and the company enterprise business were spun off and renamed to Hewlett Packard Enterprise.